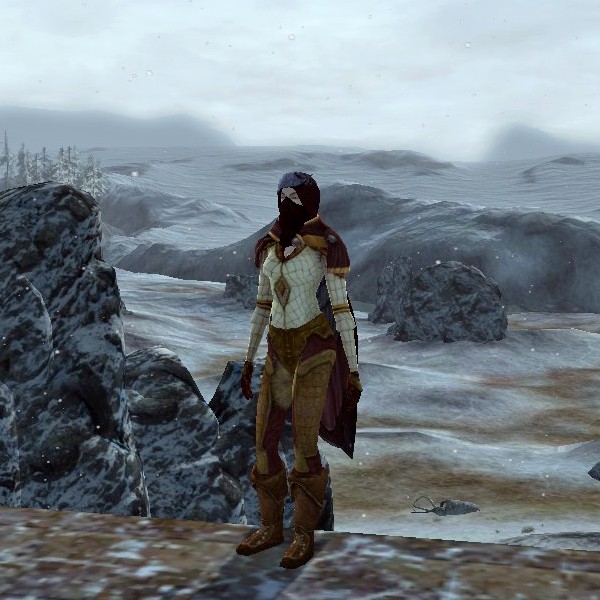 Arestelle’s garb took a less hunterly turn when I picked up these wrap shoulders and delicate-seeming shirt. As with Muiriol, some pieces stayed the same, although they may have changed color, so the outfit evolved rather than starting new from scratch. 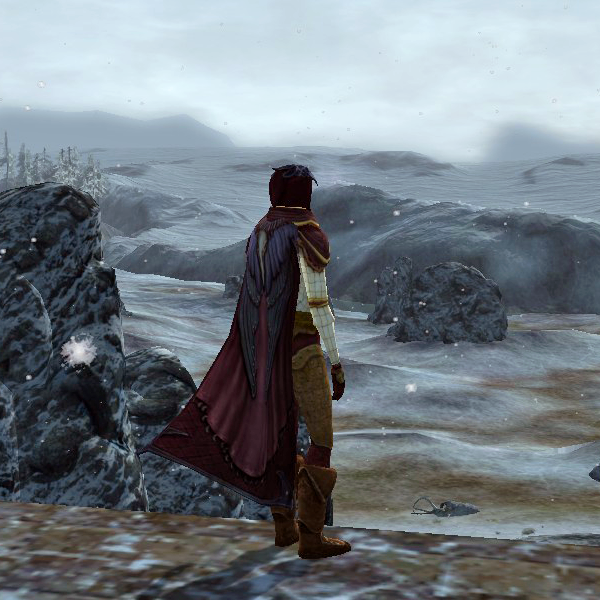 Before the Harvestmath festival, Arestelle wore nothing on her head and one of two cloaks – the Traveller’s Cloak from before, redyed sea blue, or this Cloak of Plenty from the Farmers’ Faire, washed. 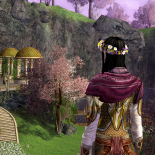 This entry was posted on 2014.03.19 by vyh in Outfits and tagged arestelle, brown, burgundy, cosmetics, elendilmir, fall festival, festival, harvestmath, lone-lands, lord of the rings online, lotro, outfits, scholar, sienna, white.